Home / Dinner / WanderFood Wednesday – Grilled Cheese, in India? 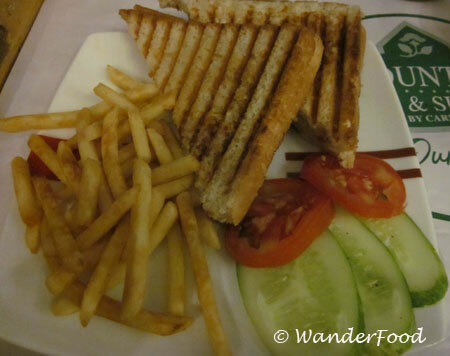 WanderFood Wednesday – Grilled Cheese, in India? I’m usually pretty good about sticking to local food when I travel. But at the end of more than 3 weeks in India back in January, I was craving something from home. I reluctantly ordered a grilled cheese sandwich from room service. I say “reluctantly” because I totally expected something unrelated to a grilled cheese sandwich I might have at home, and perhaps a few fries. What I got was the perfect antidote to my craving and it wasn’t because I was simply homesick for home cookin’. This was GOOD! I truthfully don’t know what sort of cheese was used but it wasn’t American slices and it was tasty. And I was delighted to have so many french fries. The cuke and tomato were bonus. If you’re a newbie, see more about WanderFood Wednesday here. 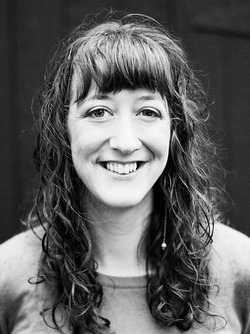 Carlye is a freelance writer, professional dancer and emerging techie living in Seattle. She travels enthusiastically in search of great food, beer and adventure, cooks obsessively in her tiny home kitchen and spends her downtime playing with her dog, exploring the great Northwest by kayak and hiking the muddy trails of her home state. Unless specifically mentioned, all images on this blog after August 1st, 2012 are ©WanderFood. I use my own images whenever possible, and when not possible, I give credit.